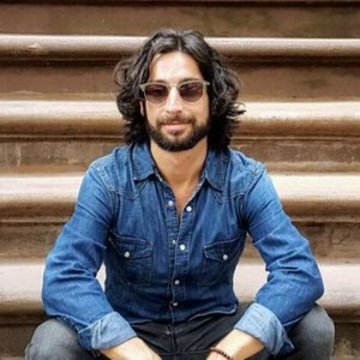 I grew up in New York City and had a background in organizing unique Events and Experiences ranging from 7000 person gatherings to boutique events for celebrities like P.Diddy or Britney Spears. But after some years in the fast paced Event Industry of New York City, I realized that a shift was needed because it was taking a toll on my body. It was at that point that I turned to integrative medicine and spirituality for body and mind wellness. I decided to follow my passion in events and newly discovered interest in Health and Wellness and in 2007 moved Costa Rica to build a Wellness Retreat Center. That’s when Puerta a la Vida was born! Out of deep desire to prototype better, more abundant ways to live – with a focus on true wellness and longevity and quality of life. I spent the next few years meeting top doctors, healers, and practitioners of various wellness modalities while visiting the top wellness centers around the world. Here I was surrounded by the best of the best and their wisdom had such a profound impact on my life. I wanted nothing more than to share their knowledge and wisdom with everyone I knew, and do so through the lense of experiential events & retreats. In 2015, I launched Experience Vida– a boutique Event & Retreat company – focused on producing one-of-a-kind experiences and curated educational content ranging from wellness to social impact, innovation, and beyond. 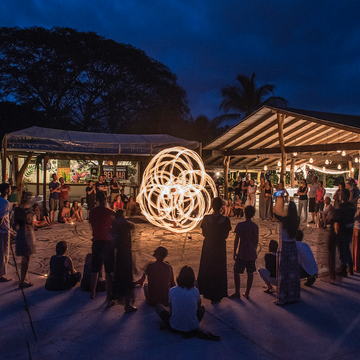 In 2018, just three years later, Selina Hotels came in and partnered with us to create and operate – VIDA by Selina, a brand new transformational retreat center, in Costa Rica. After this major milestone, I set out to create something that I have wanted to do for a long time -and that was helping entrepreneurs and teachers in the retreat, mastermind, and event space by sharing some of the knowledge I had gained over 18 years in the event business. Retreat Lab became a yearly course and live event which did just that. In 2018, I decided to follow my passion and focus on spreading the Wisdom of the incredible teachers and practitioners who I’ve worked with over the years. Thats when Egregora was born. Egregora is a full service Agency & Event Production company representing teachers and practitioners in the space of wellness, mindfulness, healing, energy work and beyond. And now we are doing just that, with events in New York, Los Angeles, San Francisco, Mexico, Costa Rica, and Japan.